Smart Cardz are the newest addition to the Pro Tools Now product line; an ingenious invention that you don’t have to be a genius to appreciate. Smart Cardz are a contemporary version of the traditional Teflon hard card – but they’re better, because they’re twenty five percent wider and their tapered tip, comfortable grip, dynamic flex and thin squeegee edge is sure to make easy work of the toughest installations. 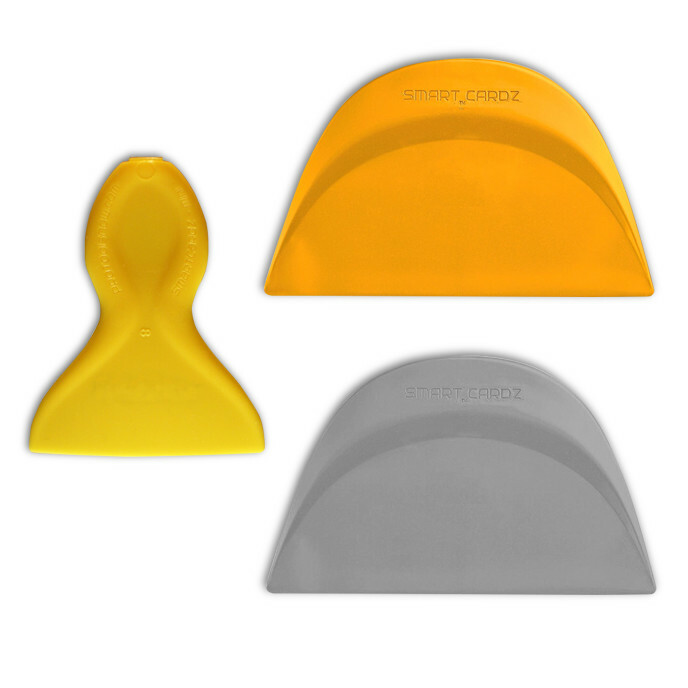 Use Smart Cardz anywhere you’d use the Teflon squeegee. What makes them so appealing is that they have a “smart” grip–handle molded right into its body, so they’re easy to hold and manipulate. And, we’re sure you’ll appreciate how their thinner edge, slides under gaskets and seals effortlessly to reduce installation times.